It may be an ancient food, but tahini—also known as sesame paste—is enjoying a major renaissance right now. Fans of Middle Eastern food may know it best as the stuff they drizzle on falafel. But thanks to chefs like Yotam Ottolenghi and Einat Admony (not to mention countless food writers and bloggers) making creative use of tahini, it's clear that the possibilities are virtually endless. What is Tahini? Tahini is sesame paste, made by grinding up sesame seeds until a smooth, peanut butter-like consistency forms. It's nutty, creamy, and oily, and is commonly used in Middle Eastern cooking. Lately, it's become popular the world over in salad dressings, baking, sauces, and more. Where to Get Top-Notch Tahini: Middle Eastern Markets, specialty grocers, and health food stores are good sources for tahini, but most supermarkets stock the ingredient now. You can typically find it with other Middle Eastern products, next to the peanut butter, or sometimes in the fridge area. A little oil separation is fine and proof that your tahini is all natural and free of emulsifiers. Simply stir it up when you're ready to use it to combine the oil and paste. How to Cook With Tahini: When baking, tahini is typically used in the same way as peanut butter, adding a mildly nutty flavor. It can easily be whisked into sauces and dressings, but keep in mind that adding acid, such as lemon juice, will cause tahini to thicken rapidly. Adding a little warm water will thin it to the proper consistency. You can also make your own tahini with sesame seeds, oil, and a good blender. For ideas on how to use sesame paste, we've got a wide range of recipes that are sure to make you a tahini fan. One of the most popular ways to use tahini is to make hummus with tahini. The smooth and creamy dip is popular all over the world, and perfect for pairing with veggies, chips, or pita. 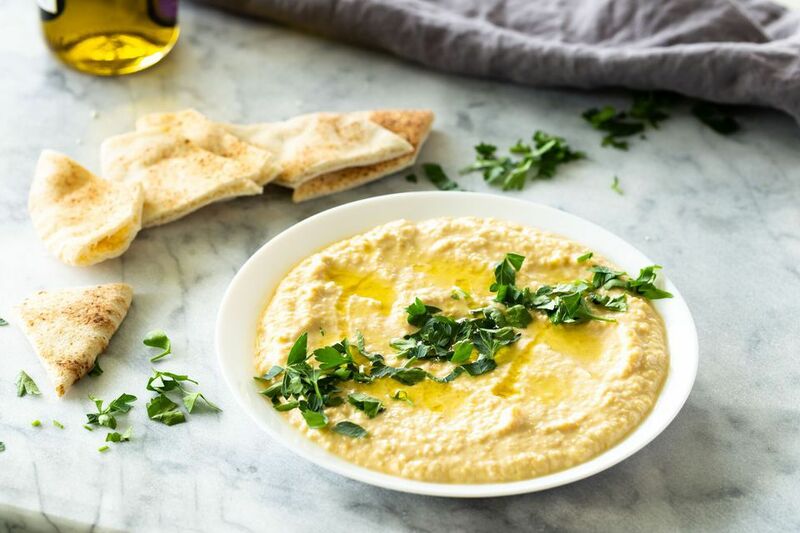 Chickpeas, garlic, lemon, tahini, olive oil, and a food processor or blender are all you need, and you can add extras like spicy peppers or herbs to customize your hummus. Tahini's nuttiness and fat content make it a perfect ingredient in sweets, including cheesecake. Simple, but decadent, this tahini cheesecake has a light sesame flavor. Top with a drizzle of chocolate or caramel sauce, along with sprinkle of crushed halvah candy, a treat also make with sesame paste. Tahini works as both a flavor booster and a natural emulsifier in this tahini caper salad dressing. Served over greens, it makes a satisfyingly savory vegan alternative to Caesar dressing. It also works as a dip for crudites, a sauce for grilled fish or chicken, or a drizzle on sandwiches and wraps. Butternut squash is baked until tender and sweet before being topped with roasted chickpeas in this butternut squash chickpeas, tahini and za'atar recipe. A Greek yogurt tahini sauce makes the healthy dish worthy of center stage. Serve with a salad for a simple or hearty meal. Lightly sweet and pillowy pumpkin and tahini bread gets even better with the addition of tahini. The sesame paste adds a light nuttiness that marries well with the pumpkin and spices and helps keep the bread moist. A sprinkle of pumpkin seeds on top adds a bit of crunch. If you're looking for an easy way to impress guests, serve this tahini roasted cauliflower with pepitas and herbs. The recipe may be dinner party-worthy, but that doesn't mean you can't make this easy recipe on a weeknight. Tahini on pasta might sound weird, but this tahini noodles recipe uses the sesame paste in a way that's strikingly similar to peanut sauce. Soy sauce, lemon, and honey add lots of flavor. Toss in whatever protein or veggies you like to bulk it up. This chickpea and brussels sprout salad with tahini dressing is fresh but hearty, crunchy, and creamy, it's a satisfying main dish for lunch or a side dish for dinner. Falafel, tahini, and cumin roasted butternut squash sandwich is a match made in heaven. A savory tahini sauce pulls the whole dish together—serve it on the side or drizzled on top. It also makes a great salad with pita on the side or left out altogether. Roasting carrots brings out their sweetness but leaves them crisp-tender, pairing perfectly with chewy farro. This farro with cumin roasted carrots and tahini recipe is not only nutritious and delicious, it's a great example of how you can use a little spice to enhance tahini-based sauces. If you haven't figured out by now, tahini and lemon go together like, well, tahini and lemon (aka really, really well!). They make a dynamite dressing for this fresh this fresh kale and golden beet salad studded with roasted beets, golden raisins, and walnuts. Add a sprinkle of pomegranate seeds if you have them for fruity crunch. Just like peanut butter, tahini is an ideal match for chocolate. Add a little sugar and salt and you've got a treat to remember. The sesame seed paste helps keep these salted chocolate chip tahini cookies on the chewy side while adding just the right amount of nuttiness. Make a double batch and freeze some dough for later or bake them all if you're feeding a crowd. It's time to unpack your spiralizer. This grilled chicken with lemon-tahini zucchini noodles is the perfect a gluten-free dish. 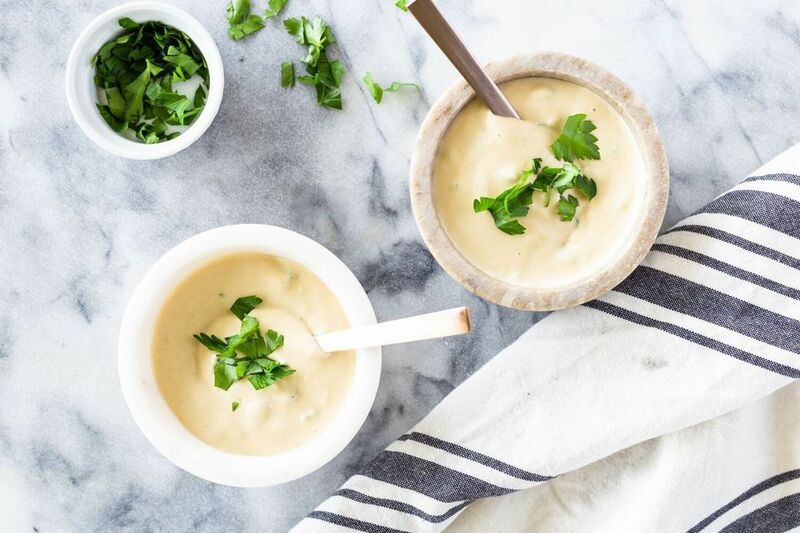 A garlic and tahini sauce keeps things flavorful, but light and fresh parsley and lemon add some extra brightness. If you don't own a spiralizer, many stores now sell pre-spiralized zucchini. Making your own caramel sauce is easier than it sounds and it also allows you to customize the recipe to your tastes. Like your caramel salty? Add salt. Like it with a bit of nutty flavor? Then make this tahini caramel sauce version. The sesame flavor melds flawlessly with the caramel, making it an ideal topping for ice cream or cake. Instead of tossing chicken salad in mayonnaise, try a yogurt-tahini dressing instead for a crunchy Middle Eastern chicken salad. It's still creamy and flavorful without so much fat and the guilt that goes with it. For an extra fast and easy salad, use a store-bought rotisserie chicken. Carrots and almonds add crunch and za'atar, a spice blend, adds savory spice. For a super simple, but flavorful fish preparation, bake the fillets, then cover it in a lemon tahini sauce. Fish with tahini (samak bi tahini) can be served warm or cold, and feel free to use your favorite fish, adjusting the cook time as needed.